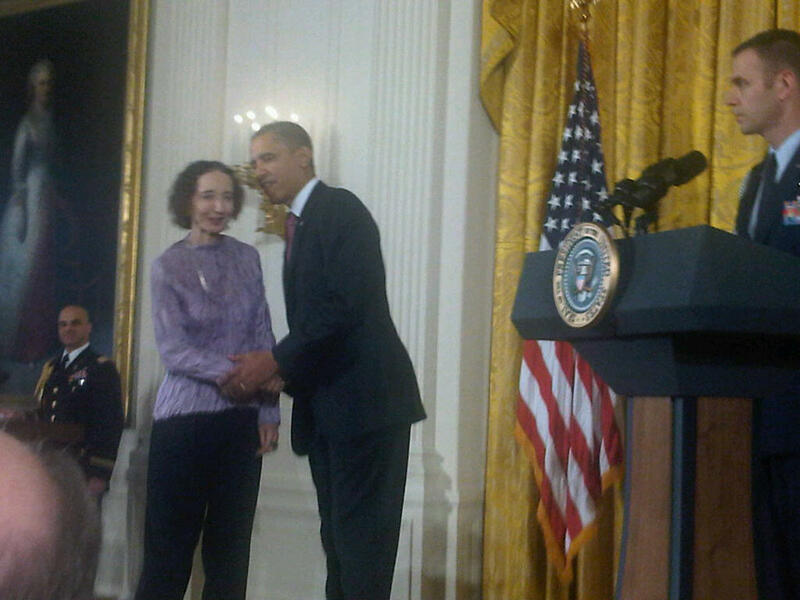 President Obama awarded the 2010 National Medal of Arts and National Humanities Medal to 20 honorees, including Joyce Carol Oates. The National Humanities Medal, inaugurated in 1997, honors individuals or groups whose work has deepened the nation’s understanding of the humanities, broadened our citizens’ engagement with the humanities, or helped preserve and expand Americans’ access to important resources in the humanities. Joyce Carol Oates for her contributions to American letters. The author of more than fifty novels, as well as short stories, poetry, and non-fiction, Oates has been honored with the National Book Award and the PEN/Malamud Award for Lifetime Achievement in the Short Story. Here are profiles of all of the medal recipients, at the National Endowment for the Humanities web site. 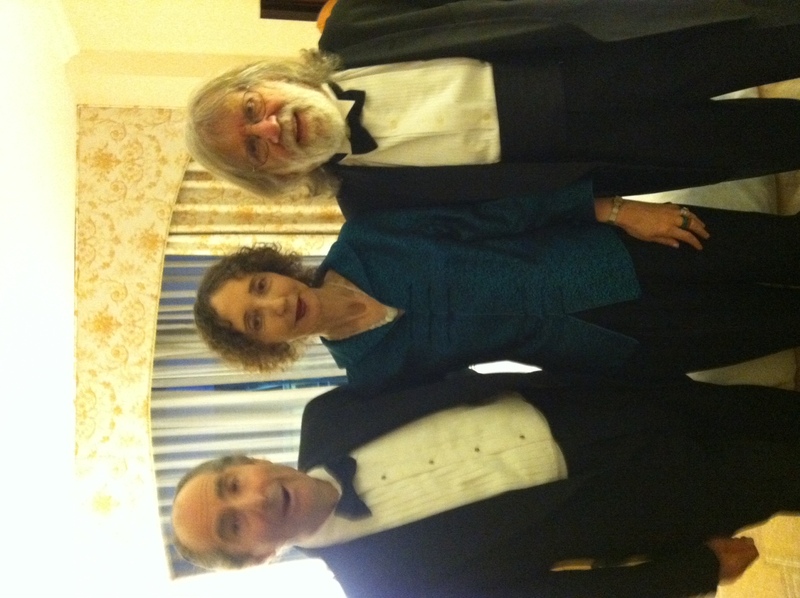 Phiip Roth, Joyce Carol Oates, Charles Gross, before the ceremony in Roth’s hotel room. The President mentions he’s bought JCO’s new book but hasn’t read it yet; JCO: “Well–you’ve been busy.” Photo by Daniel Halpern. How exciting! Congratulations! I look forward to reading an essay about the experience. (It is also nice that Philip Roth was recognized, too.) Maybe this means that that elusive Nobel Prize in Literature will be in your grasp in the near future. Great to see Joyce and Charlie at the White House–maybe he’ll get an invite himself one day. so exciting! congratulations from China. Joyce Carol Oates deserves this and much more. How fortunate we are to have a president like President Obama who is so aware!!! Bravo Joyce Carol Oates! Bravo President Barack Obama! !